While exhibiting in Columbus, Ohio make sure to check out the Columbus Museum of Art which is over 150 years old and the oldest art museum in the state of Ohio! Promoting your business can be a work of art too with our premium selection of graphic trade show displays of all shapes and sizes. Graphic displays are known to stand out and grab the attention of buyers at trade shows and we have the selection that will make your business stand out! Stepping up your game and showcasing your products or services in style gives your company's brand the attention that it deserves! Where is the Columbus Convention Center Located? The Greater Columbus Convention Center is located at 400 N High St, Columbus, OH 43215. Located right downtown along the east side of North High Street, the center is your ideal place to showcase your business while in Ohio. Setting up at a trade show provides many benefits to your business. Your company may boost its visibility to consumers and enhance credibility by showcasing products and services at a trade show booth. Trade shows are also a powerful platform for meeting prospective customers. Simply being at the trade show demonstrates to others in the industry that you are reliable and that your company is ready to do business. The upfront cost of a trade show exhibition can be expensive. From developing the exhibit materials to training staff members and traveling to the event, the expenses add up. Instead of cutting corners, it makes sense to investigate which parts of a display are most interesting to consumers. Each company may have different goals from a trade show. Your business may have different goals based on what type of a trade show you visit. Perhaps you want to meet new people and expand your base of customers or business-to-business marketing. Maybe you are interested in closing sales or simply getting names and contact information for your mailing list. It is important to determine your goals before you go to the trade show. Decide what product or service you want to promote. Consider what your return on investment goals are. Think of how you could accomplish them. You will need to make a concentrated effort on promoting your booth at each trade show you visit. The time to start publicizing your presence at at a trade show is well before the event begins. Start a viral or hype campaign for a few weeks leading up to the event. Build momentum and give customers reasons to anticipate your presence at the show. 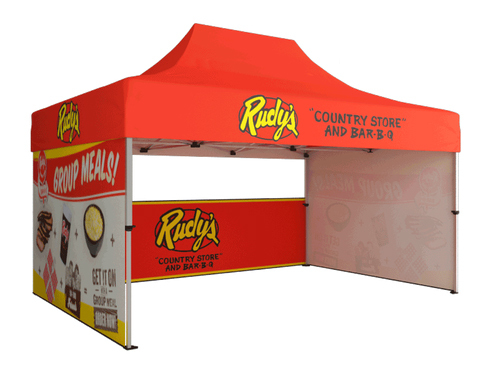 When you do it correctly, your booth will see a flood of current and potential customers. You will need to go about selecting and designing a booth that can handle the anticipated peak crowd.